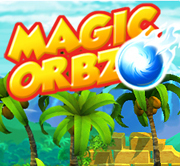 A stunning 3D puzzle game in which players navigate ancient ruins and lush environments, maneuvering a rectangular block through mystical exits. Cuboid's 66 twisted levels will bend your mind with their addictive puzzles and engage the senses with amazing graphics and soothing music, immersing you in a surrealistic puzzle world. Bend your mind and twist your thinking to solve 66 challenging puzzles, from beginner to expert. 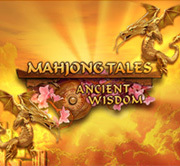 Use the increasingly complex tile layouts, switches and teleports to complete each level and earn antique treasures. Unlock enchanting new puzzles and exciting environments for the truly committed puzzle solver. Compare your scores in the online standings for maximum Cuboid challenge. "And really, everyone should scoop this one up on a lark. I could sing its praises for ages, but there's no better endorsement I could give the game than to proudly state that I'll be dropping ten of my own greenbacks down on the game when I get home just so I can show it off to friends and roommates. It really is a fantastic puzzler, and something I think belongs on every PS3. Yep, every one."